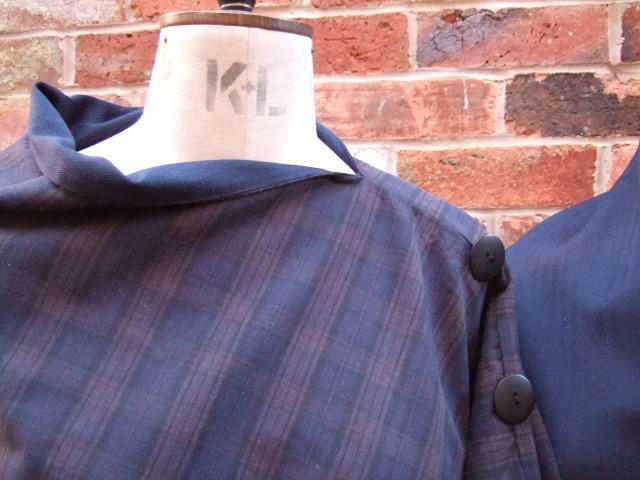 Navy Gaberdine with Brown check and Blue Herringbone. Individually hand cut fully reversible throw/wrap. Finished with large Black polished buttons along the seam detail. The Tweed with cotton suiting makes the garment shower proof!.